Connie Amaden-Crawford is a former instructor at the Fashion Institute of Design and Merchandising in Los Angeles, California. Her professional experience includes positions as a patternmaker, grader and design consultant. She is currently President and CEO of Fashion Patterns by Coni and is a nationally recognised fashion specialist. She has been featured in magazines such as Threads, Sew News and Notions and was a guest speaker on ABC's TV series HOME. 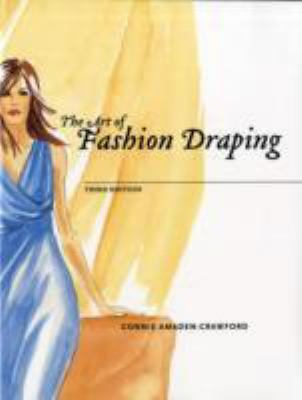 She is the author of the bestseller, Guide to Fashion Sewing, 2nd Edition.Amaden-Crawford, Connie is the author of 'Art of Fashion Draping', published 2005 under ISBN 9781563672774 and ISBN 1563672774. Loading marketplace prices 5 copies from $40.95 How does the rental process work?